Drake Won't Name Rick Ross Mixtape "YOLO," Calls Phrase "Epidemic"
Why'd you have to go and ruin YOLO for Drake? The Toronto rapper, who popularized the acronym for "You Only Live Once" in "The Motto," a Lil Wayne-guesting song from Drizzy's sophomore album Take Care, was planning to use the catchphrase as the title for this new mixtape with Rick Ross. But now, he says, YOLO has become an "epidemic." "That title has become so... It's like an epidemic," he told MTV. "So I hope by the time we finish [the mixtape], it would still hold weight and substance. We might have to call it something different now 'cause that's just so attached to 'The Motto'." Just how popular has YOLO become? Well, here you can see a gallery of 40 "inspiring" YOLO tattoos, and over here you can buy your child a YOLO t-shirt from Hot Topic. And this is a picture of Zac Efron with a YOLO tattoo on his hand. 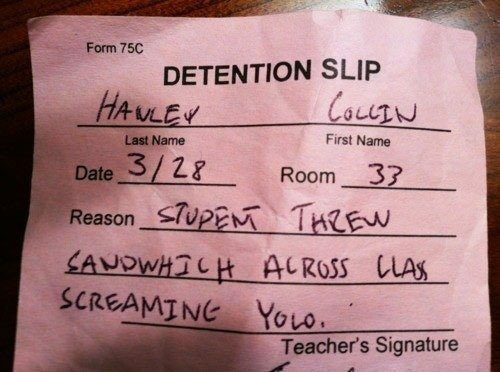 And, best of all, here's a school detention slip that reads, "STUDENT THREW SANDWICH ACROSS CLASS SCREAMING YOLO." 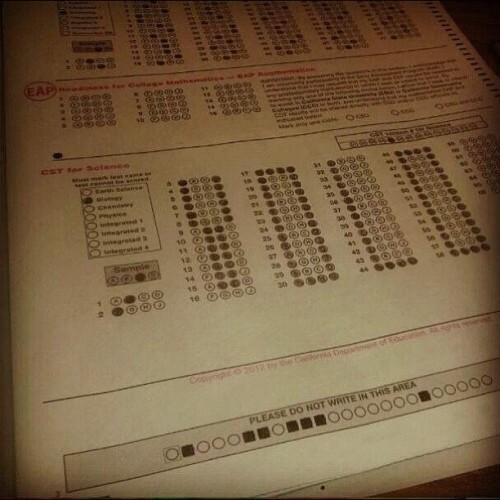 Plus, two exams in which students just wrote YOLO. So what do you think? Has YOLO lost its meaning? Should Drake and Rick Ross change their mixtape title? Let us know in the comments!